JUSTSO is one of the leading Retail Design Firms. We had an exciting opportunity to work with British Fashion house Mulberry on their new campaign, Made With Love. 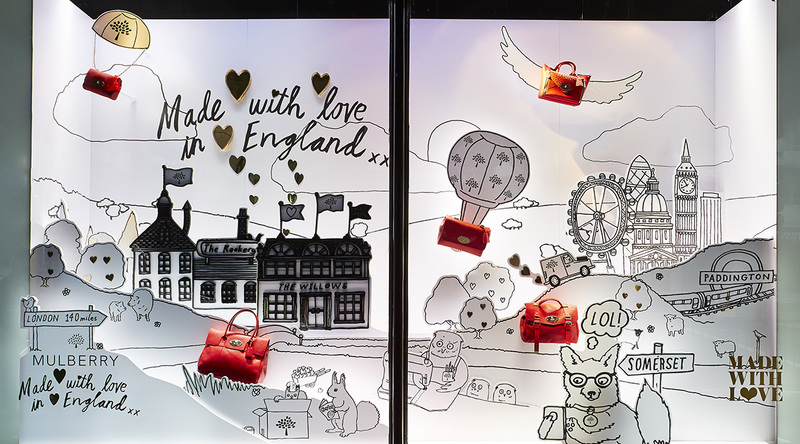 Collaborating with British artist Harry Malt, Mulberry asked JUSTSO to explore the artistic interpretation of their new campaign and make a 3-dimensional window concept. 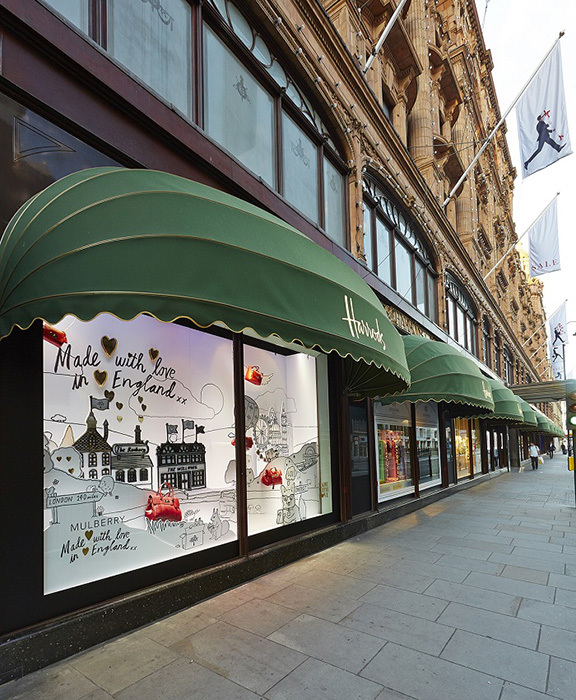 Set upon a white canvas, bespoke illustrations of a quintessentially British setting tastefully highlighting the journey between their factories to London. Iconic motifs such as the London skyline add to the scene to create depth and highlight the brand’s new range and local heritage. Their exclusive collection can be seen throughout the window, suspended from hot air balloons and set within the hilly landscape of the countryside. Two of Mulberry’s factories – The Willows and The Rookery are also featured within the illustration, highlighting the brand’s strong connection with its rural routes in Somerset. If you’re looking for Retail Design Firms to assist you with your brand campaigns, contact JUSTSO.